Mobility is a key requirement for a highly developed industrial society. Different prognoses regarding air traffic development predict an annual growth of four to five per cent in this field. Studies show that noise is perceived as the most frequent environmental pollution. Aircraft noise mainly occurs in the vicinity of airports, especially in the takeoff and approach areas whereupon the noise during takeoff and departure produces the biggest amount of noise in the vicinity of airports. 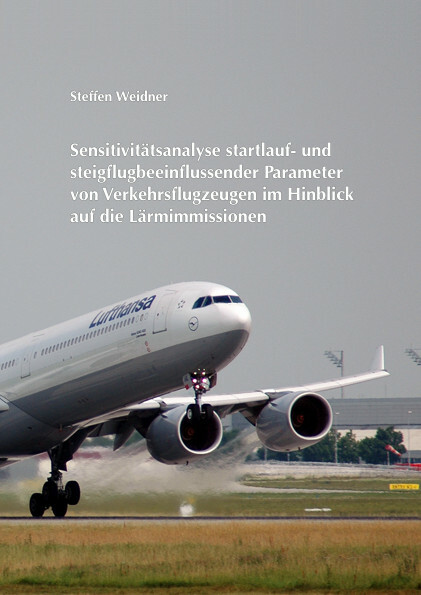 The aim of this study is the systematic analysis of sensitivity of each parameter influencing takeoff and departure procedures of aircraft referring to noise immission. Complex and numerous scenarios with real aircraft at an existing airport are not feasible because of time and cost issues and the diversity of variants. Therefore a simulation with adequate tools is an appropriate way to get suitable results. The outcome of the tools’ calculation could be exemplary verified by a simulator study. To ensure a holistic approach the “Standard Operating Procedures” (SOPs) were used for the parameter identification. On the one hand the SOPs are established to allow consistent procedures and an efficient task sharing between the pilots before, during and after the flight. On the other hand they contain all relevant parameters and if necessary the corresponding setting for a safe and efficient flight. All required parameters for the whole flight, that means atmospheric, runway and flight operational parameters like the cutback height and aircraft specific parameters like flap setting and thrust setting are taken into account. With the help of the tools in a first step a sensitivity analysis is made to find out which of the identified parameters have an influence on the noise budget and fuel consumption. Each calculated takeoff and departure procedure is transferred into a noise calculation tool to determine the resulting noise immission. Afterwards sensitive parameters are combined to demonstrate the potential of selected parameter combinations exemplary. The resulting noise prints serve as basis for the assessment and are considered according to the area and the extension. Due to the chosen realistic research approach the results of this study can contribute to airport-specific optimisation of takeoff and departure procedures concerning noise immission and fuel consumption.